I picked up this glorious gown at the last IT convention and have been waiting for the right lady to wear it. It is a power house of a gown so who better than “Power House Ayumi” to wear it. This entry was posted on February 14, 2016 by raberry65. 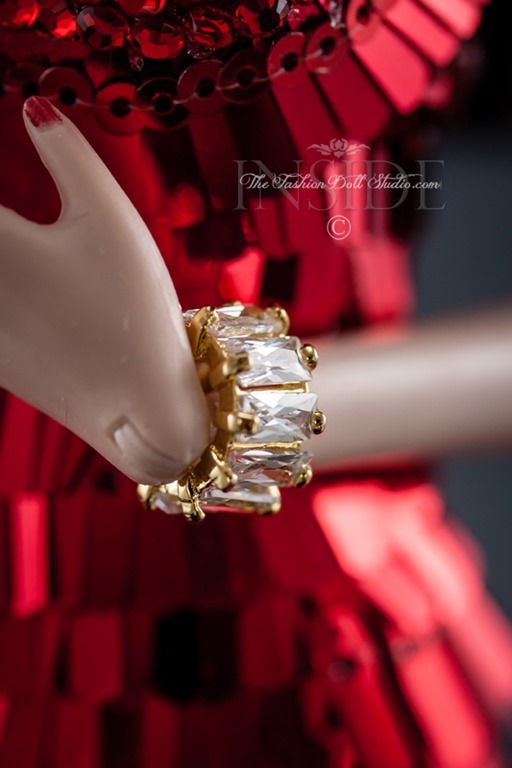 It was filed under Ayumi, Fashion Royalty, Nu.Face and was tagged with Canon 40D, Canon macro lens 60mm f/2.8, doll blog, fashion doll, fashion doll blog, Fashion doll photography, Inside the fashion doll studio, Integrity Toys 2015, ITFDS, Nu.Face, OOAK doll fashions, PonnePP, Power House Ayumi, Rebecca Berry Photography. 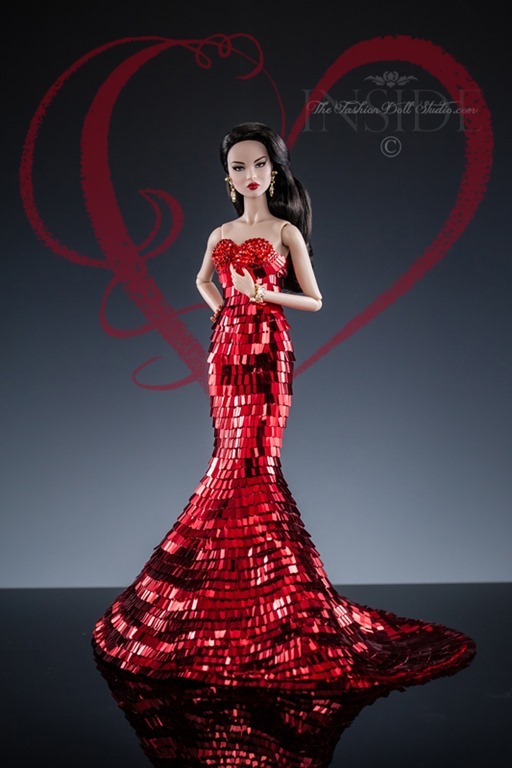 The dress is beautiful on that doll!! Thank you Lori!! Hope you had a glorious Valentine’s Day too! This is such a beautiful dress. I wanted to buy one in California but noticed the seller had added a large markup from the price the designer/maker charges. I ordered directly from the maker when I got home. Saved enough money to buy two! …and now I need a red one! And now…I think I need the pink one …oh and the black one LOL! Heck.. I need one in every color. WoW! So lovely on Ayumi with a Valentine flair! PonnePP has excellent beading with clearly top notch designs! Thanks for sharing! I agree Karen! The workmanship is amazing. Love Love Love all of it and You. ps- how did I miss this dress?? Thank you my dear…we were too busy talking, eating, shopping and grabbing a drink in the bar LOL!! My bad for not telling you about these amazing gowns. You are very, very welcome!! So glad to have this in my collection! That is some dress, the style is amazing on her, I cannot imagine how they sew this!